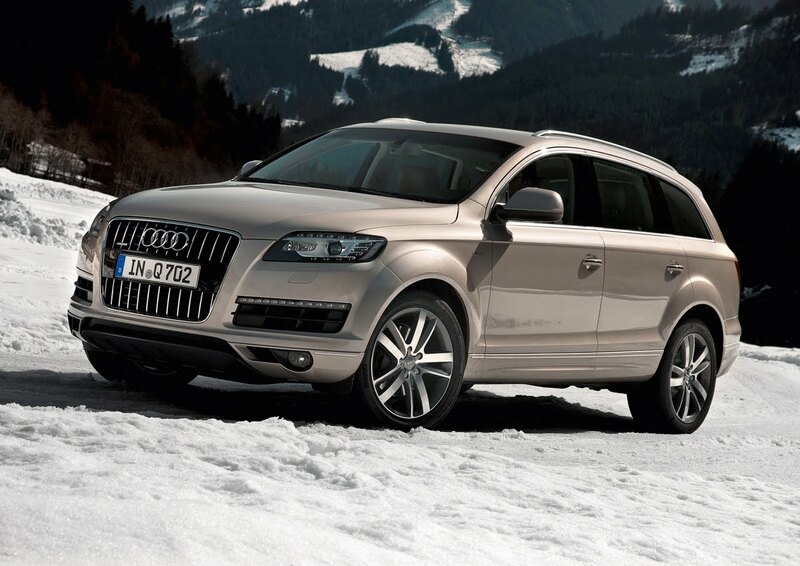 Audi has revealed new updates to the Q7 line today. Boasting three new V6 engines and an 8-speed tiptronic transmission; Audi's high-performance SUV for sport, leisure, family and business is now even more powerful and efficient. Full details and photo gallery after the jump. Audi also offers its customers a second version of the V6 TDI: the 3.0 TDI clean diesel. It already meets the exhaust emission limits laid down in the Euro 6 standard, which does not come into force until 2014, and the tough US regulations as well. Sensors in the combustion chambers, a common-rail fuel injection system with a delivery pressure of up to 2,000 bar and a high-performance exhaust gas recirculation system keep untreated exhaust emissions to a minimum. A DeNox catalytic converter in the exhaust system reduces the remaining oxides of nitrogen by means of an additive. The 3.0 TDI clean diesel also develops 176 kW (240 hp) and has an impressive 550 Nm (405.66 lb-ft) of torque between 2,000 and 2,250 rpm. It takes the Q7 from a standstill up to 100 km/h (62.14 mph) in 8.1 seconds and gives it a top speed of 215 km/h (133.59 mph), or 218 km/h (135.46 mph) with adaptive air suspension. Its average fuel consumption is 8.4 liters per 100 km (28.00 US mpg). 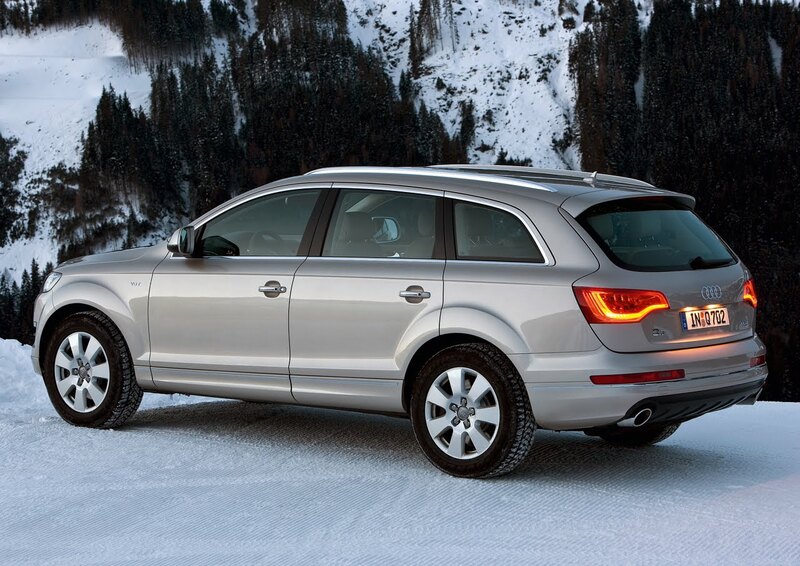 The Q7 4.2 TDI has also had its fuel consumption drastically reduced – from 9.9 (23.76 US mpg) to 9.2 liters per 100 km (25.57 US mpg) – by installing a 2,000-bar fuel injection system and minimizing internal friction. Yet at the same time the V8 diesel, with its unchanged power output of 250 kW (340 hp), delivers more torque than before. It now supplies a vigorous 800 Nm (590.05 lb-ft) between engine speeds of 1,750 and 2,750 rpm. 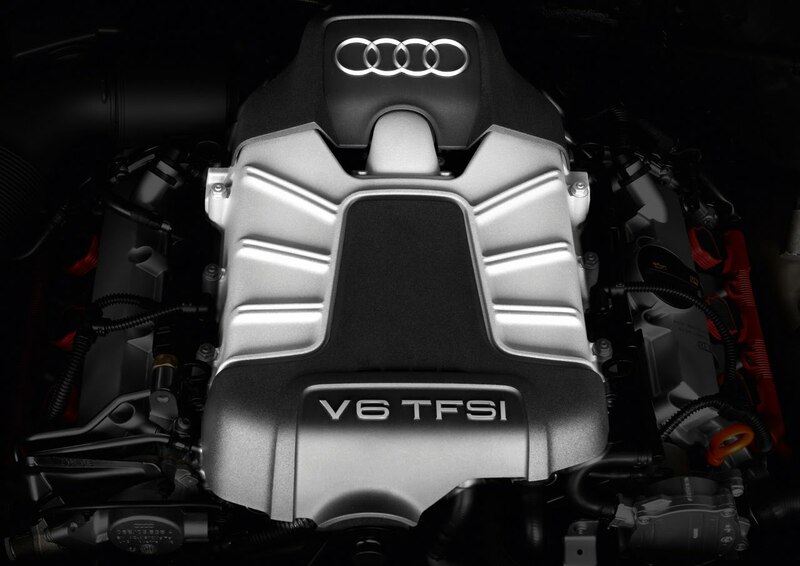 The big TDI engine gives the Q7 performance figures worthy of a sports car. It accelerates from 0 to 100 km/h (62.14 mph) in 6.4 seconds and has a top speed of 242 km/h (150.37 mph). A standard item when the optional driver information system is chosen is the on-board computer with efficiency program. This monitors the vehicle’s energy flows and displays the requirements of the most important consumers, with hints on how to reduce consumption. In the infotainment area Audi also offers a complete modular system. The top-of-the-line version has an integral hard disk drive for navigation, music, and telephone data, a color monitor with 3D graphics, a DVD player, and voice control. It can be expanded into a luxury media center with features such as a Bluetooth telephone, TV tuner, digital radio tuner, plus rear seat entertainment. A special highlight is the Advanced Sound System from Bang & Olufsen with its 14 channels, 1,000 watts of power and 14 speakers. In the cockpit area two acoustic lenses reproduce the treble frequencies; when the system is started, they extend out of the dash panel. 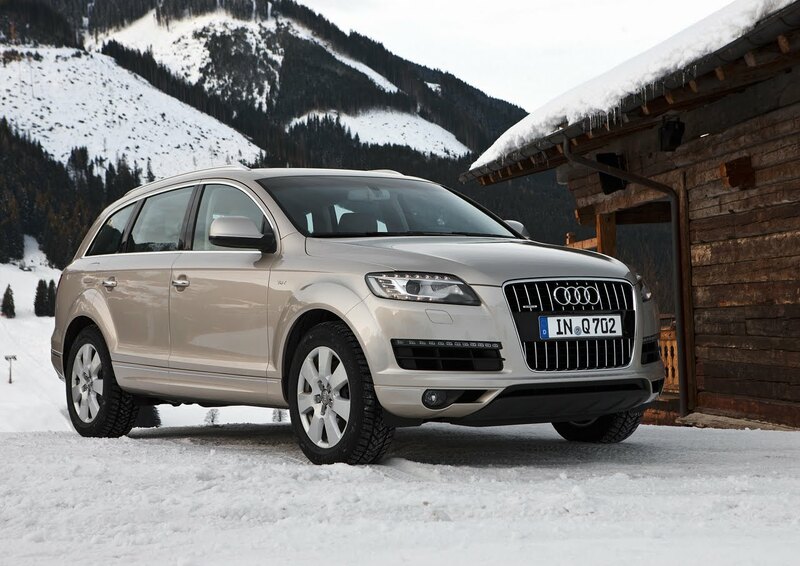 The Audi Q7 V12 TDI quattro is the most powerful diesel SUV in the world. Its 6-liter twelve-cylinder TDI engine develops 368 kW (500 hp) and delivers 1,000 Nm (737.56 lb-ft) of torque between 1,750 and 3,250 rpm to the six-speed tiptronic transmission. With a time of just 5.5 seconds from zero to 100 km/h (62.14 mph) and a governed top speed of 250 km/h (155.34 mph), the Audi Q7 V12 TDI quattro matches the performance of a powerful sports car, but is content with a fuel consumption of only 11.3 liters per 100 kilometers (20.82 US mpg).